The Blues strengthen their place in the top four as they move six points clear of Arsenal. 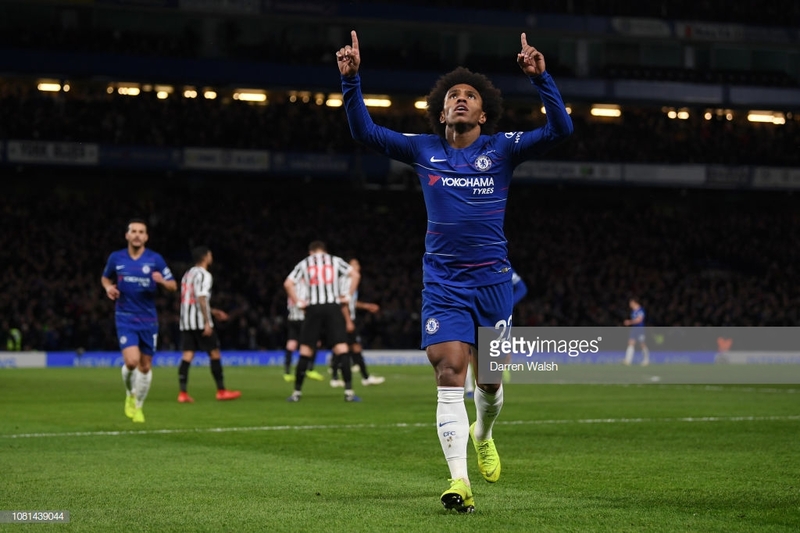 A stunning strike from Willian separated the two sides in the second half as Chelsea ran out 2-1 victors against the struggling Newcastle United. Pedro put the Blues ahead inside the opening 10 minutes but a Ciaran Clark header levelled the proceedings just before the break. The victory takes Chelsea six points ahead of Arsenal and within just one point of Tottenham Hotspur who play tomorrow. Rafael Benitez made three changes from the side which lost 2-0 to Manchester United last time out. Florian Lejeune, Ciaran Clark and Sean Longstaff all came in with Jonjo Shelvey missing out through injury. A United side which has only had only won once in their last eight league games faced a Chelsea side which had failed to score in their previous two home league games. However, it only took the Blues seven minutes to open the scoring when Pedro chipped a helpless Martin Dubravka. A sumptuous long ball from David Luiz picked out the Spaniard running into the visitors' box before the winger lobbed the stranded Dubravka. It was proving far too easy for Maurizio Sarri's side whose passing proving too much for the Magpies to cope with. A make-shift midfield fielded by Rafael Benitez was proving ineffective in retrieving the ball back from the Blues. Despite an unambitious start from the visitors, Ayoze Perez was gifted a golden chance to level the proceedings but his shot from the edge of the box flew wide of Kepa Arrizabalaga's post. The Magpies slowly but surely began to grow into the game and on the 38th-minute Ciaran Clark headered them level. A powerful header from the Irishman who rose higher than Luiz to cannon the ball beyond the outstretched keeper. Suddenly, the away side looked like they had been kick-started into life as they began to chase down every pass Chelsea played. Martin Dubravka was forced into a stunning save in the early seconds of the second half after another Pedro attempt forced him into denying the Spaniard an almost certain goal. Frustration grew amongst the Chelsea faithful as the visitors' backline held strong but William restored their lead. The 30-year-old cut back onto his favoured right-foot on the edge of the box and unleashed a brilliant strike which curled beyond a, once again, helpless Dubravka. Back into the bottom three, Newcastle needed at least a point to help them climb out of the drop zone. However, the Magpies were unable to string more than two passes together in their attempts to push up the pitch. 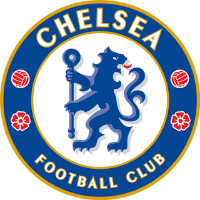 By no means was this an impressive Chelsea win but that won't bother Sarri as his side move within one point of third-placed Tottenham Hotspur. The Blues also open a six-point gap on Arsenal who lost earlier in the day to West Ham. Having not scored in their previous two home league games this was a vital game for Chelsea to just get back to winning ways. Barring a short spell towards the end of the first 45, Rafa Benitez's Magpies lacked ambition and purpose. Injuries had depleted the squad to the bare bones and for the majority of the game their midfield was like a colander - almost everything went through it. Newcastle were never expected to come to Stamford Bridge and claim all three points but they have also struggled against the teams around them especially at home. The 30-year-old has received a lot of abuse in recent weeks from the Chelsea supporters due to a number of underwhelming performances. Yet it was a moment of brilliance from the Brazillian which proved the deciding factor in claiming all three points for the Blues. It was a move which we have seen the winger do on many occasions but Deandre Yedlin was unable to stop him from shifting the ball onto his favoured right-foot and from then on Dubravka stood no chance. it was quite a tame and underwhelming performance from the Blues considering the level of opposition in which they were up against. It needed a moment of sheer brilliance to separate the two sides on the scoreboard and that is exactly what Willian provided his side with. David Luiz was a firm shout for the accolade but the centre-back was at fault for Clark's equalising header.